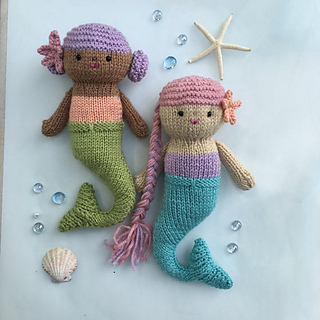 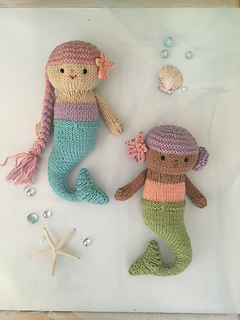 This listing is for my original Knit Mermaid Doll Pattern. 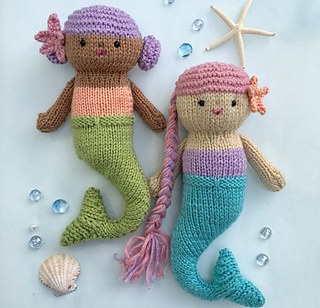 I have included row by row instructions, with lots of photos to help you knit these up. 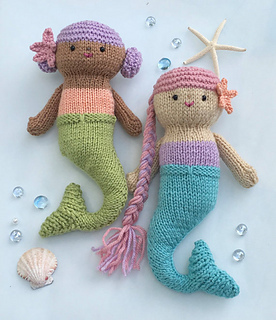 Mermaid Dolls measures 10 inches long. 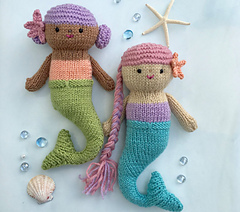 Thread or yarn for embroidery of face.